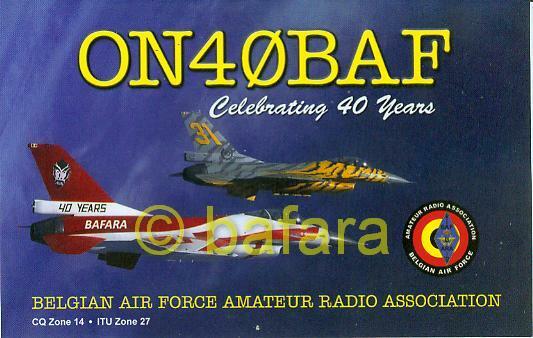 Celebrating 40 years Belgian Air Force Amateur Radio Association from 01/01/08 until 31/12/08. All contacts will be confirmed with a special QSL card. QSL is OK via bureau or direct via ON2KFJ.